Yesterday received your probing letter concerning Dollop 1-12. I'm going to comment on your inquiries as they fell in your letter. First, I'm sure you're above normal regarding work & images, being a poet and an editor, you'd have to be. Then you say that you still don't completely get the dollops. Dollop one, for example, is just a ruinously sad appraisal of the world today. Next you feel that "dollops seems almost an excuse for the larger work to get off easy and not have an overall cohesiveness." My take is that titles are overrated. Take that god awful poem Trees that every school child had to read. Yes, it is about trees. So what? Do you need labels to read poetry? 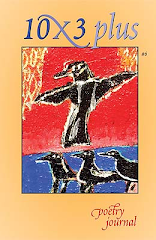 Between 1978-1990, I wrote a long work entitled STOMA. I got up to over 2000 Stoma poems before I was done. Giving titles to each poem would have added nothing. I sometimes go for long periods where I title each poem, so it's not completely laziness. Must there be overall cohesiveness? Perhaps that makes me a laborer of poems rather than one who wants to compartmentalize. Then you say, "I may get a glimpse but it's like catching a shadow." That appeals to me & might irritate someone else. Poetry to me is the most powerful medium of all, but should not be reined in so easily. This next part in your letter I really like, even the "words without paints" part. 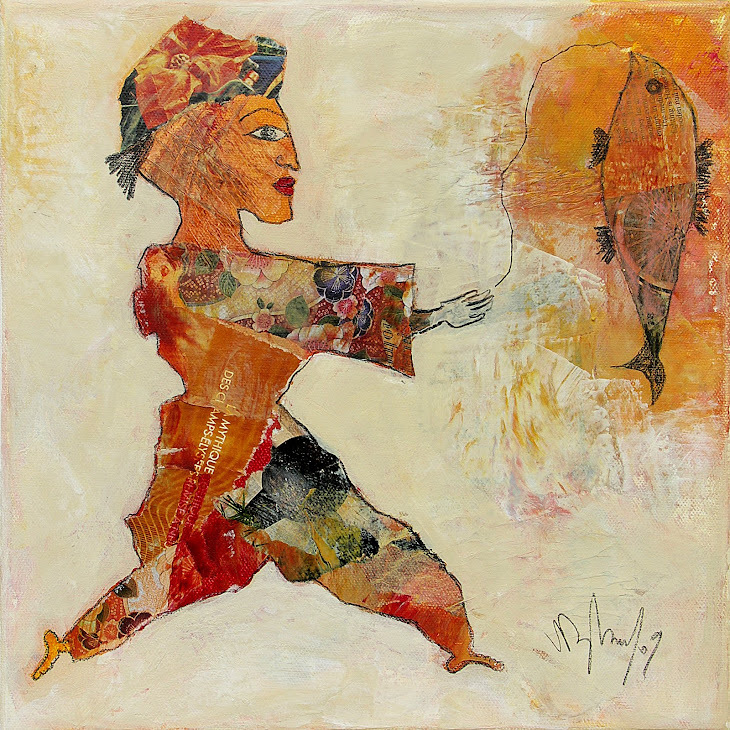 You believe that they have a painterly quality & stage presentation. This is insightful on your part & emphasizes my concepts about poetry. It is theatre, art, etc. I've had art pieces in Vispo shows, i.e. visual poetry, & that is more direct but poetry is a thing to play with & not be boxed in by, as academia has done for years & years so they can have all those poetry workshops. You like 4, 5, 6, 9, & 11 & you like the haiku man & wished that he were present sooner. Might have solidified things in your view, but as you can guess, I don't think much of haiku poets. 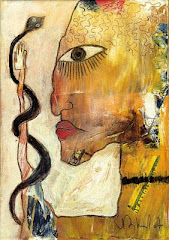 I have appeared in haiku magazines but find most haiku poets are on the smug side, so he was rude in his entrance into this set of poems. Very typical. I agree with you on #6. It works well as it plays with a Dickinson poem. I also agree that the five poems you selected as best are probably the best of the 12 works. So you honed them down well......"
dollop 6. dollop 9. dollop 11. ---> These poems appear in the #2 issue of 10x3 plus. Guy R. Beining does not use or have a computer, but the letter excerpt above and his poetry appear here with his permission. were left baring a common fiction. 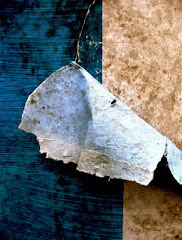 of a road; her cheek bled. who had tried to rescue it. as history gets soundly slapped? from his series dollop 1-12.
was she thrown into emberness? & blended in with the sky. the shell was that part left untouched. nurture within us an abiding respect for one another. it with a passion for justice and peace. 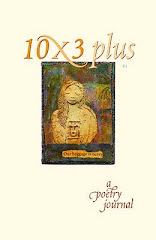 10x3 plus is a journal of poetry. 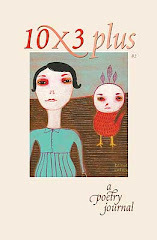 The focus of 10x3 is to publish ten poets times three poems or three poets times ten poems. 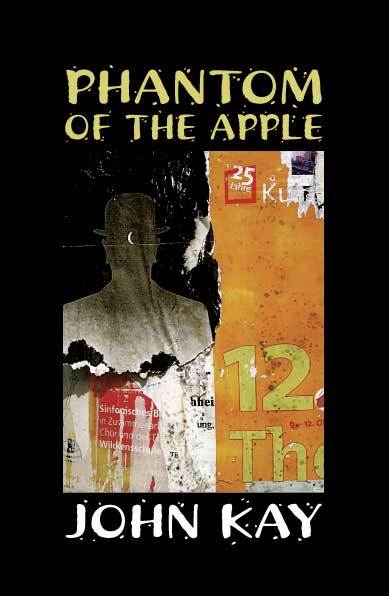 The plus includes poems, prose-poems, and features such as Jesse Weiner's The Structure of Complex Symbols. 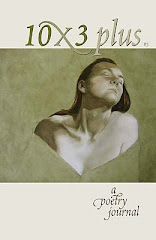 Poets can find submission information on the web site: http://www.10x3plus.com/. 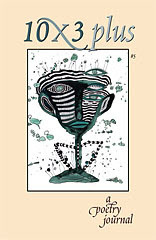 The magazine was founded in 2007 and is professionally printed. 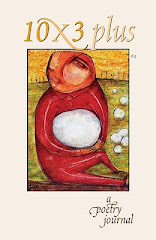 Hopefully, this blog site will display news and poems of 10x3 writers, and also news and poems of other poets. Anyone with Say about the art of poetry is invited to participate.